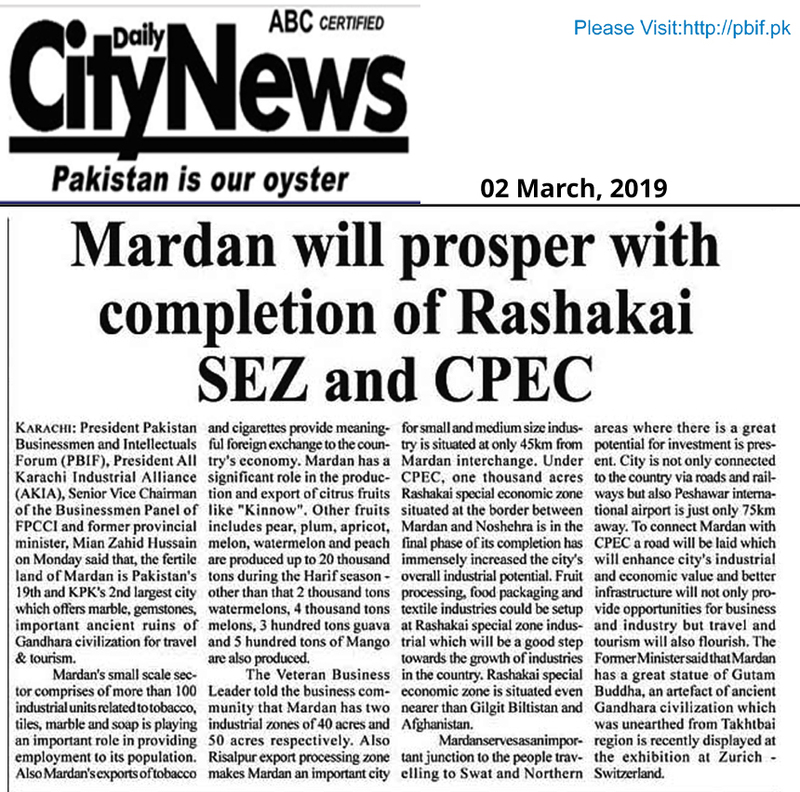 Mardan will prosper with completion of Rashakai SEZ and CPEC. 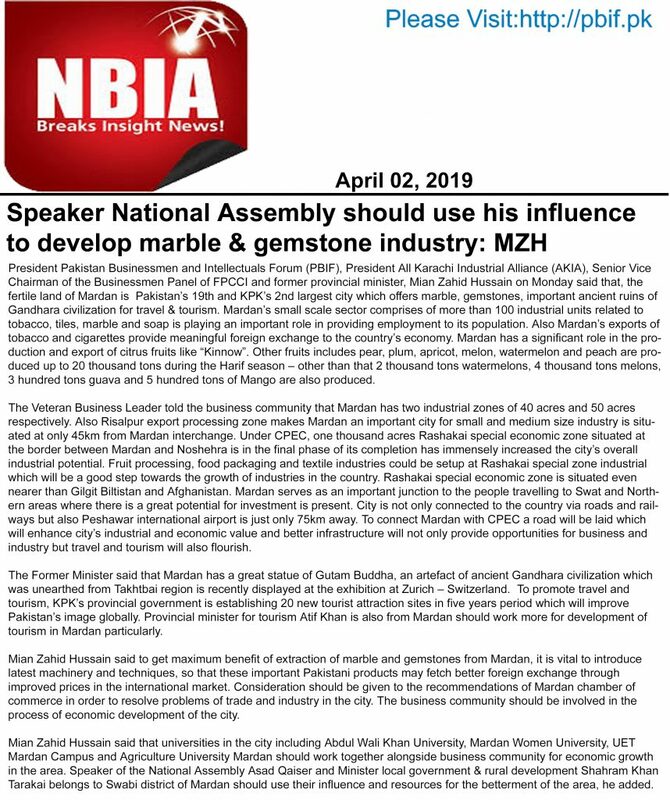 Speaker National Assembly should use his influence to develop marble & gemstone industry. 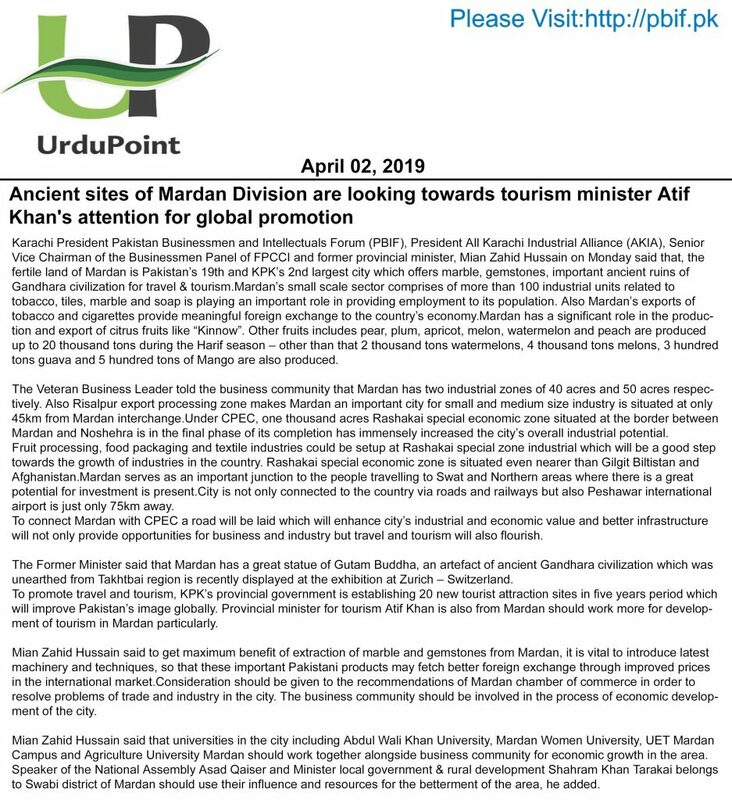 Ancient sites of Mardan Division are looking towards tourism minister Atif Khan’s attention for global promotion. 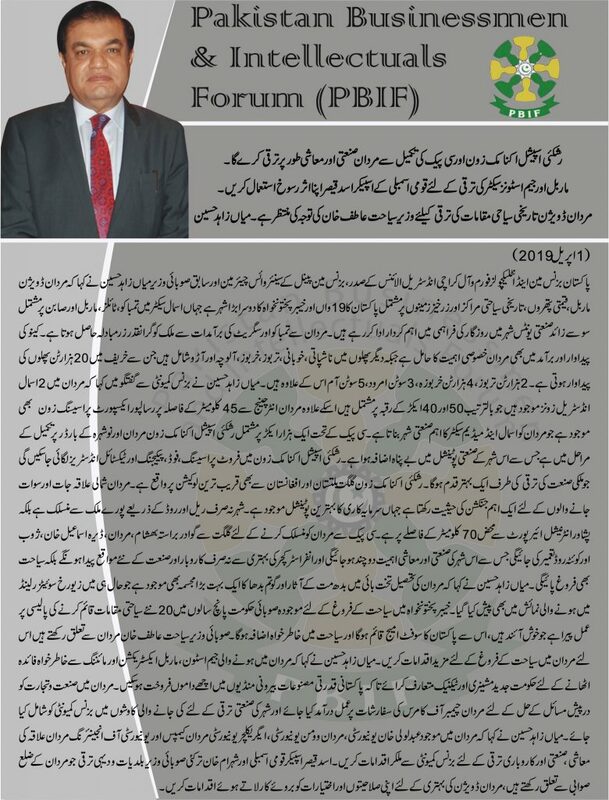 President Pakistan Businessmen and Intellectuals Forum (PBIF), President All Karachi Industrial Alliance (AKIA), Senior Vice Chairman of the Businessmen Panel of FPCCI and former provincial minister, Mian Zahid Hussain on Monday said that, the fertile land of Mardan is Pakistan’s 19th and KPK’s 2nd largest city which offers marble, gemstones, important ancient ruins of Gandhara civilization for travel & tourism. 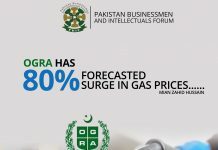 Mardan’s small scale sector comprises of more than 100 industrial units related to tobacco, tiles, marble and soap is playing an important role in providing employment to its population. 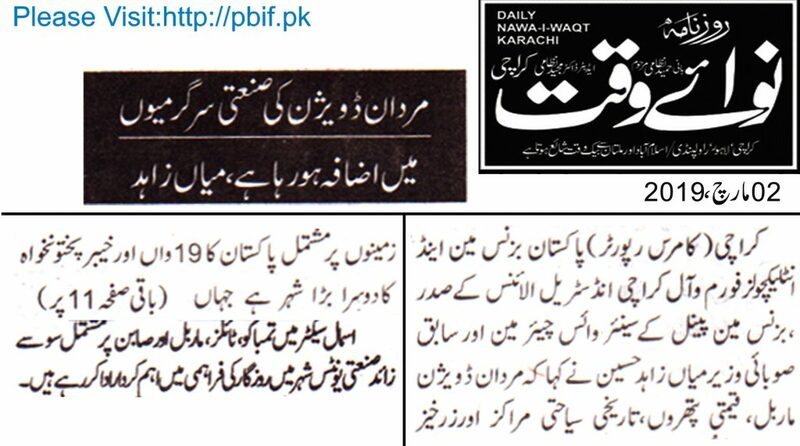 Also Mardan’s exports of tobacco and cigarettes provide meaningful foreign exchange to the country’s economy. Mardan has a significant role in the production and export of citrus fruits like “Kinnow”. 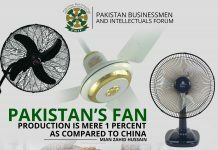 Other fruits includes pear, plum, apricot, melon, watermelon and peach are produced up to 20 thousand tons during the Harif season – other than that 2 thousand tons watermelons, 4 thousand tons melons, 3 hundred tons guava and 5 hundred tons of Mango are also produced. 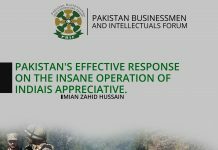 The Veteran Business Leader told the business community that Mardan has two industrial zones of 40 acres and 50 acres respectively. 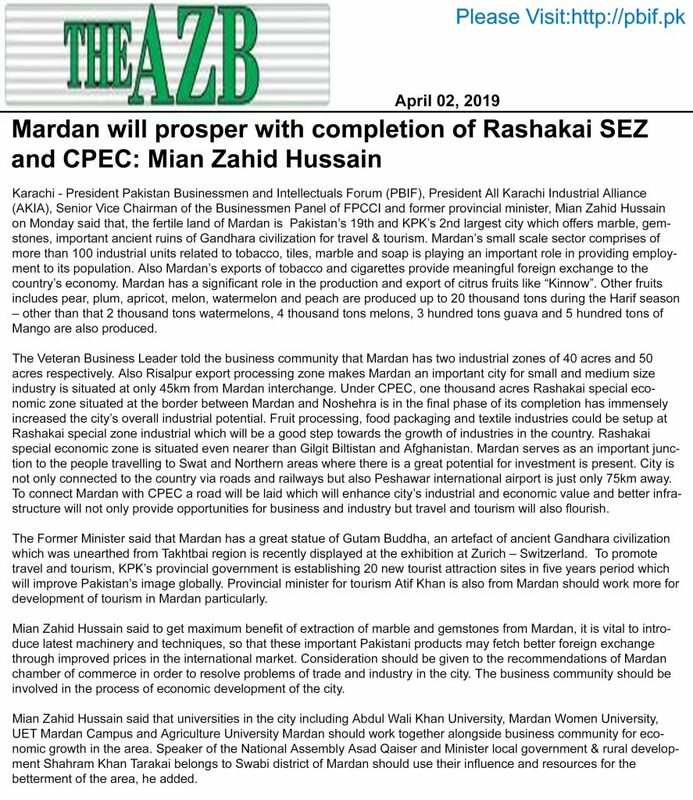 Also Risalpur export processing zone makes Mardan an important city for small and medium size industry is situated at only 45km from Mardan interchange. 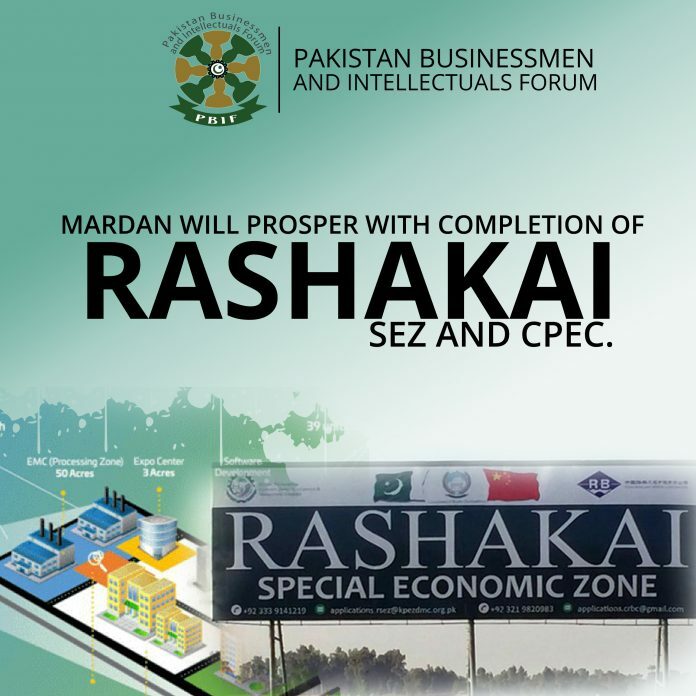 Under CPEC, one thousand acres Rashakai special economic zone situated at the border between Mardan and Noshehra is in the final phase of its completion has immensely increased the city’s overall industrial potential. 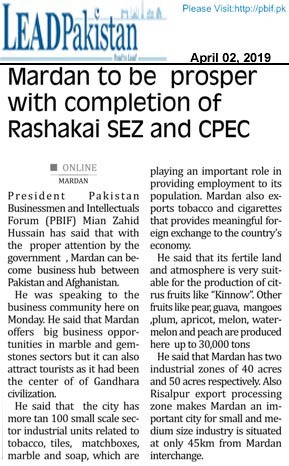 Fruit processing, food packaging and textile industries could be setup at Rashakai special zone industrial which will be a good step towards the growth of industries in the country. 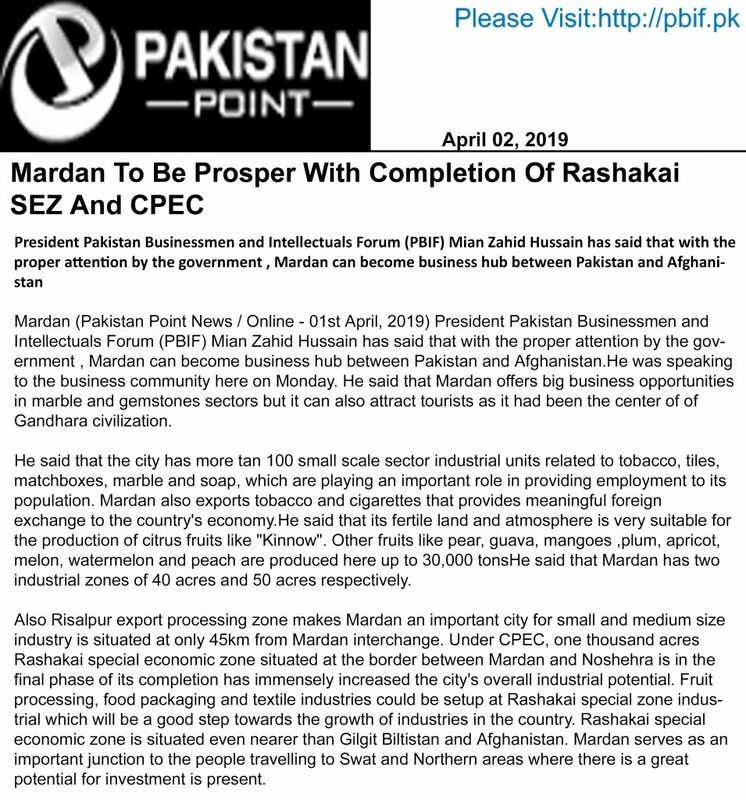 Rashakai special economic zone is situated even nearer than Gilgit Biltistan and Afghanistan. 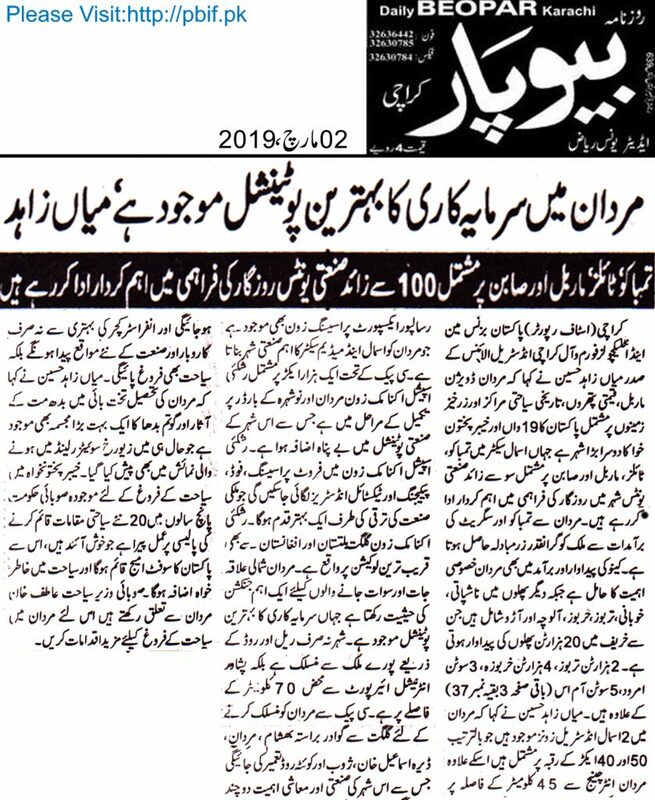 Mardan serves as an important junction to the people travelling to Swat and Northern areas where there is a great potential for investment is present. 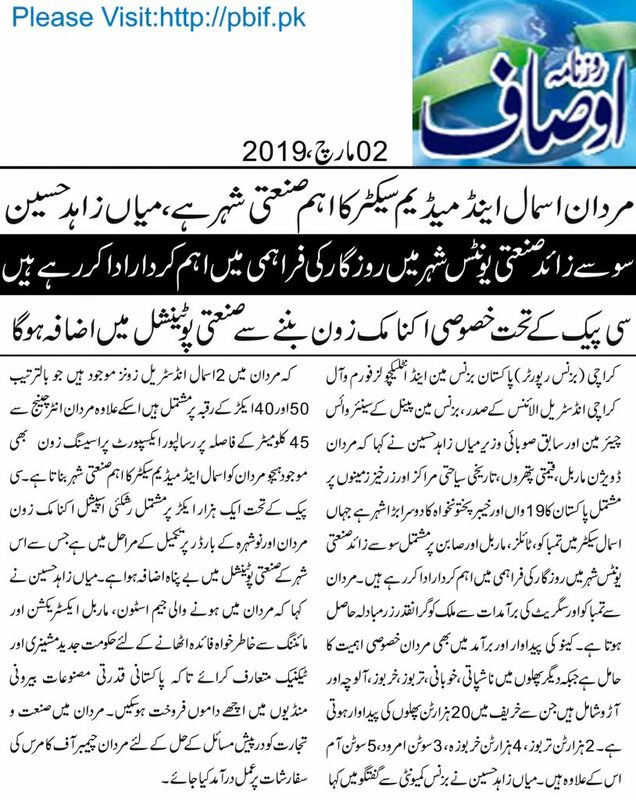 City is not only connected to the country via roads and railways but also Peshawar international airport is just only 75km away. 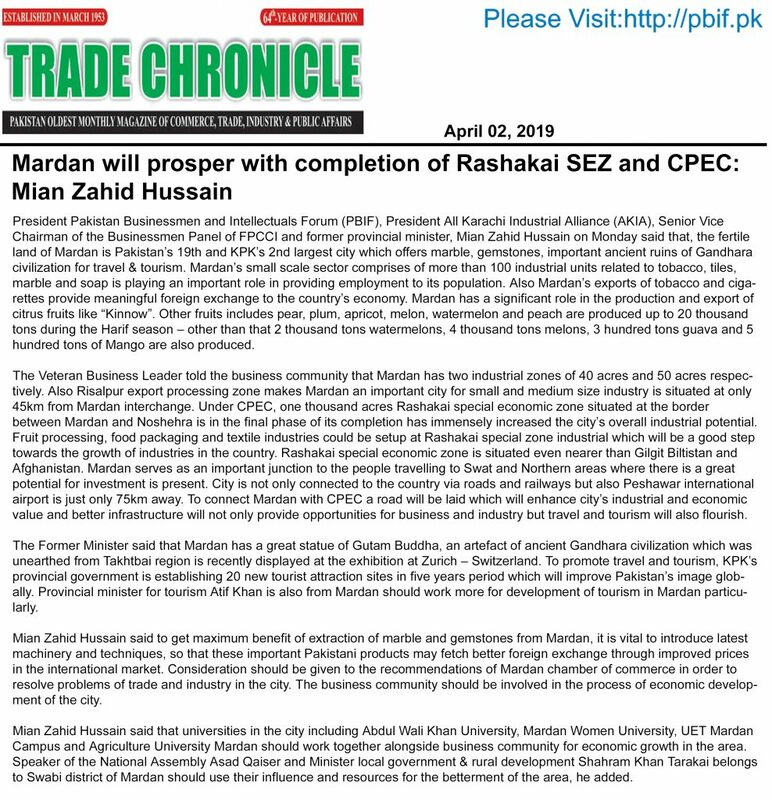 To connect Mardan with CPEC a road will be laid which will enhance city’s industrial and economic value and better infrastructure will not only provide opportunities for business and industry but travel and tourism will also flourish. 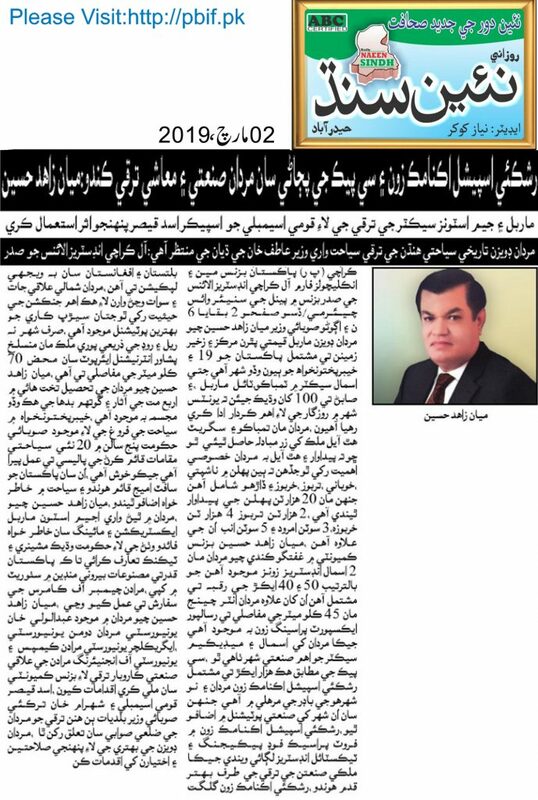 The Former Minister said that Mardan has a great statue of Gutam Buddha, an artifact of ancient Gandhara civilization which was unearthed from Takhtbai region is recently displayed at the exhibition at Zurich – Switzerland. 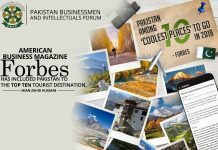 To promote travel and tourism, KPK’s provincial government is establishing 20 new tourist attraction sites in five years period which will improve Pakistan’s image globally. Provincial minister for tourism Atif Khan is also from Mardan should work more for development of tourism in Mardan particularly. 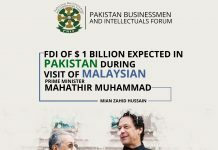 Mian Zahid Hussain said to get maximum benefit of extraction of marble and gemstones from Mardan, it is vital to introduce latest machinery and techniques, so that these important Pakistani products may fetch better foreign exchange through improved prices in the international market. 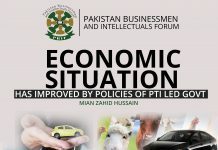 Consideration should be given to the recommendations of Mardan chamber of commerce in order to resolve problems of trade and industry in the city. The business community should be involved in the process of economic development of the city. 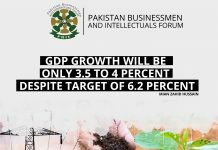 Mian Zahid Hussain said that universities in the city including Abdul Wali Khan University, Mardan Women University, UET Mardan Campus and Agriculture University Mardan should work together alongside business community for economic growth in the area. Speaker of the National Assembly Asad Qaiser and Minister local government & rural development Shahram Khan Tarakai belongs to Swabi district of Mardan should use their influence and resources for the betterment of the area, he added. 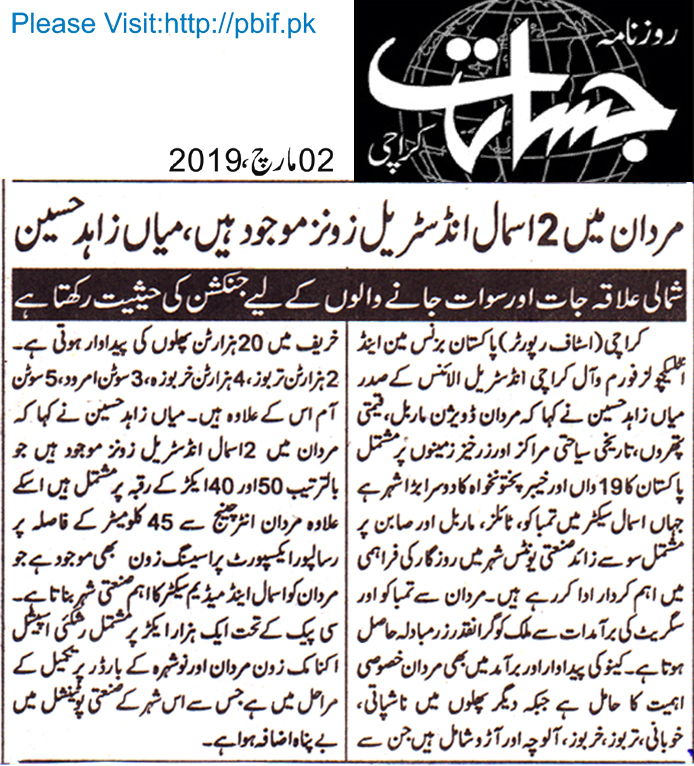 Previous articleCredit of completion Gwader Free Zone and organizing Expo goes to Govt. 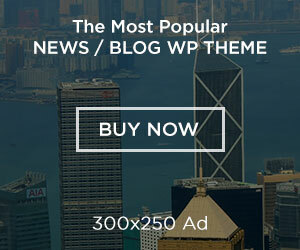 and Armed Forces. Early completion of Gwadar Airport will be a mile stone in Balochistan’s particularly Gwadar’s development Gwader Free Zone is going to be the international hub of industry, trade and investment. 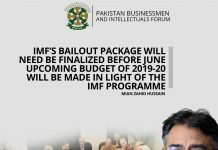 Next articlePrime Minister Imran Khan’s poverty alleviation program “Ehsaas” is the ray of hope for downtrodden and vulnerable segments of society. 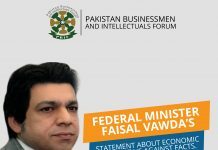 Pakistan’s ranking can improved from 150, if Ehsaas program meet success. Inflation hit five years high rate of 9.4 pc, poverty and unemployment will rise.